A minimalistic attached cuff signals the modern direction of the Oberlin collection, a clean and tailored option for the contemporary customer. 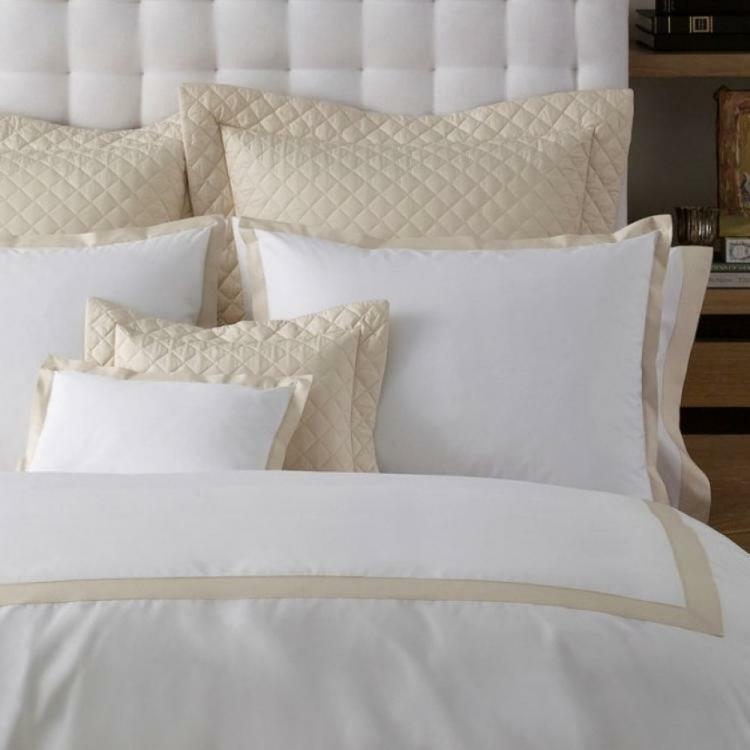 Woven in India, the base fabric is Sierra 350 thread count percale, while the flange accent is made from colored Luca percale cotton sheeting. The seven colors available were chosen for their versatility in the home as well as the ease of pairing them with other Matouk bedding. Dress your bed completely with this collection for a refreshingly clean look or combine these beautifully simple pieces with your favorite design to create your own uniquely personalized look. Please note that the trim for the applique monogram will match the trim of the bedding you have chosen. 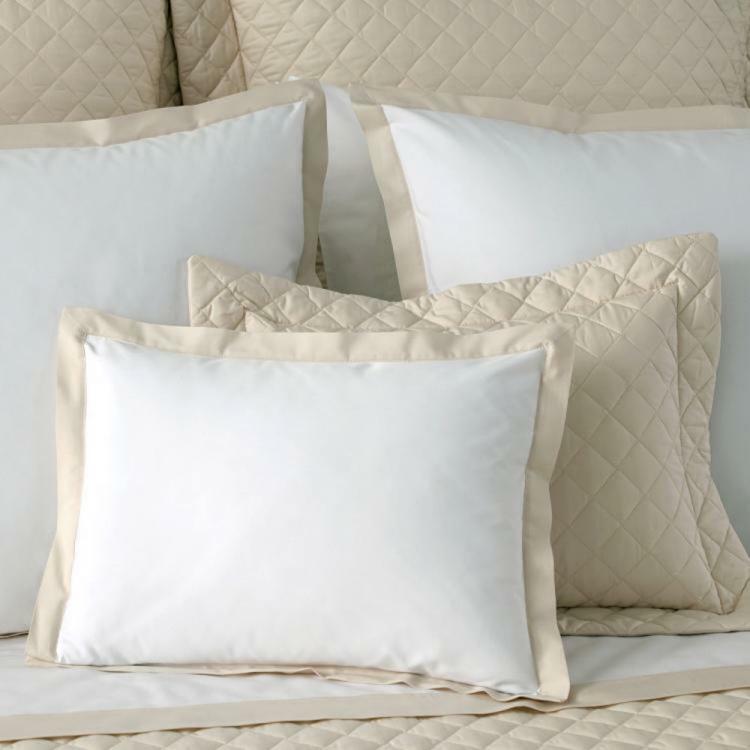 Shown with Gemma Quilted Euro Shams. Perfect match. Our sheeting sets are shown with Gemma Quilted Shams - Quilted Gemma Shams The midnight is our dark navy blue color. If you need to order different colors and sizes, just add one group at a time to your cart. You can call with questions 10-5 EST: 864-271-3587 .